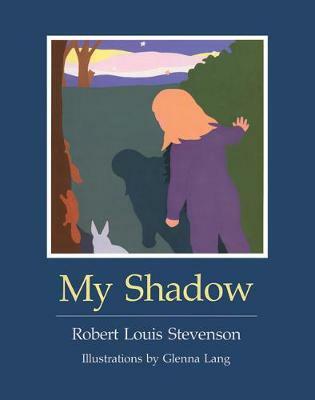 The poems in Robert Louis Stevenson's A Child's Garden of Verses have been popular ever since the book's first appearance more than one hundred years ago, and none more so than My Shadow, a traditional favorite for reading aloud. Glenna Lang has created a visual narrative depicting a young girl's travels through a dream nightscape with her shadow companion. Beautifully true to the sense and spirit of Stevenson's work, the illustrations add their own grace and rich atmosphere to that little shadow that goes in nd out with me, and this edition provides a wonderful way to enjoy an old favorite bedtime poem with the youngest child.